SHARMINI PERIES: It’s The Real News Network. I’m Sharmini Peries, coming to you from Baltimore. Last week, Michelle Bachelet, the former president of Chile, now the United Nations High Commissioner for Human Rights, gave a preliminary report based on a factfinding mission that she sent to Venezuela. MICHELLE BACHELET: The enjoyment of economic and social rights has continued to deteriorate dramatically since June 2018. That was the last time that there was a report on Venezuela. Vulnerable populations such as children, pregnant women, the elderly, and indigenous people have been particularly affected. Although this pervasive and devastating economic and social crisis began before the imposition of the first economic sanctions in 2017, I am concerned that the recent sanction on financial transfer related to the sale of Venezuelan oil within the United States may contribute to aggravating the economic crisis with possible repercussions on people’s basic rights and well being. I’m also deeply concerned about the shrinking of the democratic space; especially the continued criminalization of peaceful protest and dissent. Excellencies, divisions are exacerbating an already critical situation. There is a need for common agreement on a political solution by all stakeholders with actions to improve a wide range of urgent human rights issues. I call on the authorities to take steps to demonstrate a real commitment to addressing the many challenging issues reported across the country. 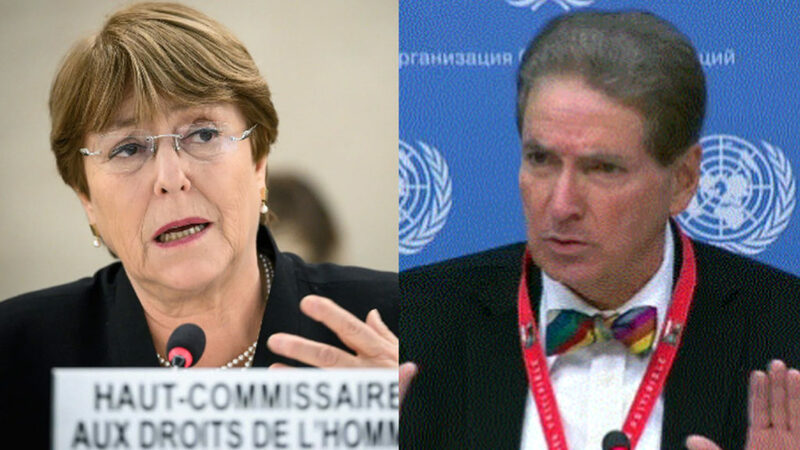 SHARMINI PERIES: The former UN Special Rapporteur Alfred de Zayas heavily criticized the report that Michelle Bachelet, as the chair of the Human Rights Commission, had delivered. He calls it unprofessional and politicized. ALFRED DE ZAYAS: We are swimming in an ocean of lies. I must say, when I went to Venezuela I expected to find it a humanitarian crisis. I was predetermined to find a humanitarian crisis. I walked the streets. I spoke to people of all kinds. And that was not the case. That means I had been manipulated. I had been lied to. And I resent that. But if all you want to do is say Maduro is corrupt, and Maduro is a criminal, then you’re not likely to get any cooperation from the government. Most important, let’s support the Montevideo mechanism. This is the way forward. 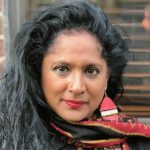 SHARMINI PERIES: That was Alfred de Zayas, a professor of international law at the Geneva School of Diplomacy and an independent expert appointed by the Human Rights Council. He joins us today from Geneva. Welcome, Professor Zayas. ALFRED DE ZAYAS: Good to be here. SHARMINI PERIES: Professor Zayas, let’s get to the meat of the issues here. When you went to Venezuela, you found a political crisis, an extremely polarized situation there. But the High Commissioner for Human Rights, Michelle Bachelet from Chile, knows the region fairly well. She seems to be in difference to your report. Tell us the main reason for that. SHARMINI PERIES: All right, there is the NGOs, Professor Zayas, the NGOs. Now, towards the end of your clip there when you were making a presentation at the Human Rights Council, you didn’t get enough time there to fully explain your findings and your take on what is going on Venezuela. But you said something very important there. You said even prior to going to Venezuela, you were fed an ocean of lies. Explain that to us. ALFRED DE ZAYAS: Well, I’m a professional. I’m a lawyer. And before going on a mission as delicate and as important as this one, I literally read everything. I read all the reports of the Inter-American Commission of Human Rights on Venezuela, of Amnesty International, of Human Rights Watch, of the High Commissioner for Human Rights, et cetera, et cetera, also the reports–by the way, much more positive–the reports over the Human Rights Committee on Venezuela, the reports of the Committee on Economic, Social, and Cultural Rights on Venezuela. Now, whereas the reports of the expert committees were solid and were balanced, on one side this on the other side that, the reports, especially of Human Rights Watch, I was rather disappointed how politicized, how one sided they were, and how they completely ignored all other evidence. They systematically fed me with the idea that the demonstrators are peaceful demonstrators, that the government is legitimate, that the government is a dictatorship, et cetera, et cetera. All I can say, that my own experience having spoken to members of the opposition, to the National Assembly, to the Chamber of Commerce, to professors and churches and civil society, having spoken also to the ministries, et cetera, is that the country is polarized. And you would have 50 percent on one side that wants to go back to the good old days when the rich were rich and the poor were poor, and want to throw out of the window all of the social legislation of Chavez and Maduro, and the other 50 percent that is going to fight tooth and nail to keep the human rights under Chavez and Maduro. What I told the opposition, even if you succeed in toppling Maduro, what are you going to do with a nine million Chavistas who are your brothers, your Venezuelan brothers and sisters. They are not going to roll over, they are not going to disappear. So you’re going to end up with a civil war situation. So the only solution is dialogue, the only solution is also mediation, like Mexico and Uruguay are proposing through the Montevideo mechanism. That’s the only way out, and I hope that Michelle Bachelet will pick up on whatever the Montevideo mechanism has achieved and will personally speak with the opposition and with the government and try to reach a compromise. SHARMINI PERIES: All right. I’ve been speaking with Alfred de Zayas, Professor of International Law that issued a report on Venezuela as a special rapporteur. I thank you so much for joining us today. SHARMINI PERIES: And thank you for joining us here on The Real News Network.